A tiny mite carried by the wind is threatening to take down the $400 million rose industry, and researchers from California to Pennsylvania are starting a five-year study to stop it. An almost $4.6 million Specialty Crop Research Initiative grant from the U.S. Department of Agriculture-National Institute of Food and Agriculture has launched the effort, said Byrne, project director. The disease is caused by the rose rosette virus, which is transmitted by the mite Phyllocoptes fructiphilus. 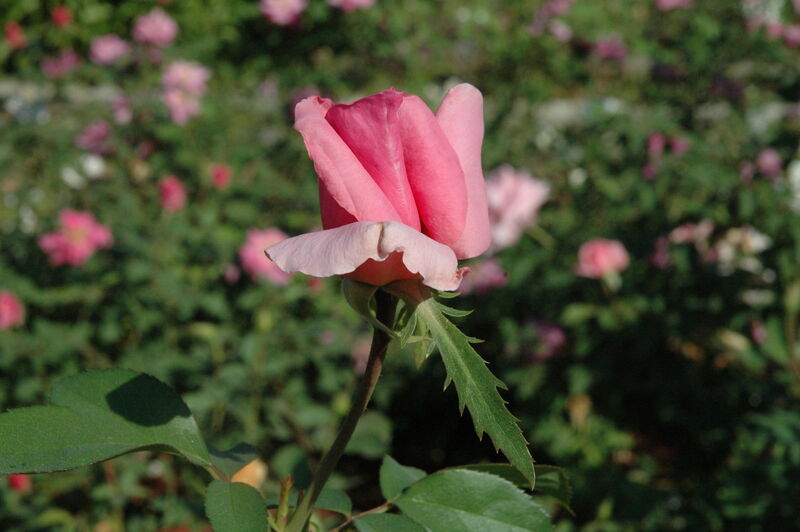 Unlike other rose diseases, the virus can kill a rose within two to three years of infection, according to Byrne. Rose rosette disease spread from the Rocky Mountains to the East Coast over several decades and is poised to obliterate the rose industry, he said, because there is no known cure. Rose growers can spot the disease through such symptoms as shoots and foliage with an abnormal red color, stems appearing thick and succulent, rapidly elongating shoots, shoots with shortened internodes and stems with an overabundance of pliable thorns. Other symptoms may include new growth having many branches that create a “witch’s broom,” distorted or dwarfed leaves similar to 2,4-D injury, deformed buds and flowers, abnormal flower color, lack of winter hardiness or spiral cane growth,according to a report from the Clemson University Cooperative Extension Service. The scientific counterattack will include working with private rose breeders to identify and develop rose rosette disease resistant breeding germplasm and molecular markers to facilitate the rapid introgression of resistance into commercial roses, developing diagnostic tools, creating a monitoring network to track the disease, developing best management practices to manage the disease, and conducting consumer and grower producer surveys to identify the preferred rose traits and the marketing or economic barriers to their adoption.